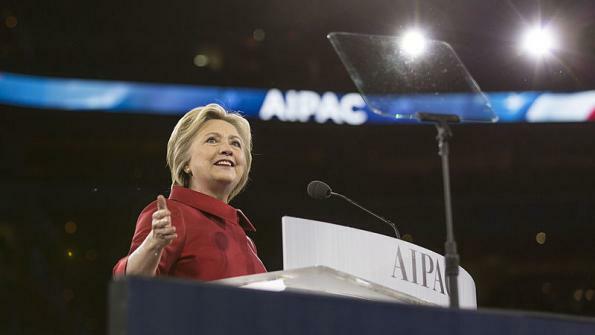 Held in Indianapolis from June 24 through June 27, the 84th annual meeting of the U.S. Conference of Mayors will feature speeches from the 14th Dalai Lama and Hillary Clinton, the presumptive Democratic Party nominee. The 84th annual meeting of the U.S. Conference of Mayors, held June 24 through June 27 at the JW Marriott Indianapolis, will feature speeches from Hillary Clinton and the Dalai Lama. Clinton, the presumptive Democratic Party nominee, will address the conference on Sunday, June 26, according to a U.S. Conference of Mayors news release. Donald Trump, the presumptive Republican Party nominee, was also invited to speak, but the conference’s agenda does not show him as a speaker. Clinton will comment on the 2016 Mayors’ Compact for a Better America: A Call to Action, which addresses making urban issues a priority, according to the release. She will also elaborate on her vision of strengthening federal-local partnerships and building solid cities and metropolitan economies. The keynote speaker for the conference will be the 14th Dalai Lama, according to the Greenburg Daily News. The conference agenda lists his speech as being titled, “The Global Significance of Building Compassionate Cities: Kindness Makes It Happen.” The world leader will also give his speech on Sunday, June 26. “The timing is just right. I’m not sure there’s ever been a more important time for His Holiness to be here,” Anaheim, Calif. Mayor Tom Tait, told the Greenburg Daily News, which reports that Tait helped secure the Dalai Lama as a conference speaker. Prior to Clinton taking the stage, Orlando, Fla. Mayor Buddy Dyer will also address the audience, according to a news release from the U.S. Conference of Mayors. During his address, Dyer will discuss the impact of the recent shooting that occurred in his city on June 13, as well as the Orlando community’s response. "When The U.S. Conference of Mayors meets in Indianapolis in less than two weeks, we will know more about the shooter's motivations and will be able to discuss what mayors can do in our cities and our nation to reduce acts of hate and terror, and the unacceptable level of gun violence,” U.S. Conference of Mayors President and Baltimore Mayor Stephanie Rawlings-Blake said in a June 12 statement. A May 11 news release estimated that attendance will be nearly 300 mayors. The release stated that the Conference will give cash awards totaling over $850,000 to cities that showcase best practices in climate protection, community development and college and career readiness training. The mayors are also set to release a new report giving economic forecasts for the country's 363 metropolitan areas. The annual meeting’s official page can be found here.